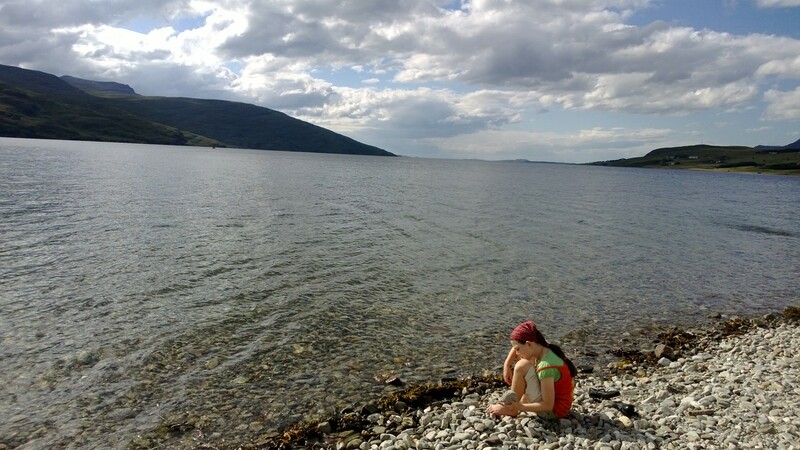 We’re in Ullapool, on the north west coast of Scotland, and my husband, our ten-year-old daughter Laura and I are beachcombing along the pebbly shores of Loch Broom. It’s a sea loch, which means it opens out into the sea rather than being enclosed by land and its water is salty. Who knows what treasures we might find here, washed up on these ancient shores? My husband always casts a scientific slant on these expeditions. His natural reaction is to classify the rocks with their correct technical names. “Ah, that’s an aggregate, ” he declares, dismissing a glorious hotch-potch of a rock with a single harsh word. A couple of days earlier, on Nairn beach, I’d been pleased to find a heart-shaped piece of sea glass, particularly because I’m working on a story of lost love called “Sea Glass”. Its pale, opalescent surface, gently scoured by the sea, hints at secrets locked within. “It’s only a basilisc pebble,” is Gordon’s reaction to my find. I decide not to tell him how much I paid for a pair of delicate green sea glass earrings in Strathpeffer en route to Ullapool. So where’s the rest of the house? Although not all our beachcombing finds are so classically pretty, all are beautiful. Today I’m intrigued by a house brick, its once sharp corners softly rounded by the sea. Where is the rest of the house? I wonder. Has it fallen into the sea? How far has this brick travelled? My daughter has tuned in to my thoughts. 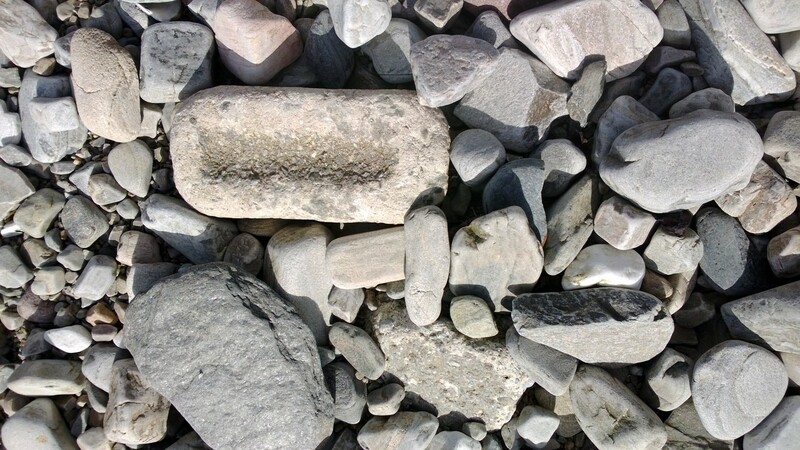 And every stone is different, ground to a unique shape and size by relentless, indiscriminate tides. The sea is an unbenevolent creator. For a moment, I see myself as a pebble, tiny among a universe of pebbles that extends in either direction as far as the eye can see – inland to the far end of Loch Broom, out to sea where the loch broadens to segue into the sea, flowing out around the Outer Hebrides before rushing towards more distant lands. Its next stop: Canada and the USA, to whose shores so many impoverished Highlanders fled in the wake of the unspeakably cruel Highland Clearances. For most of these reluctant emigrants, these pebbly shores of Loch Broom would have been the last they ever saw of their beloved Home Country. As Laura slips three carefully chosen stones into her pocket as bounty, I touch my sea glass earrings with renewed appreciation. We’ll treasure the few stones that we can, each in our own way. What a beautiful post. 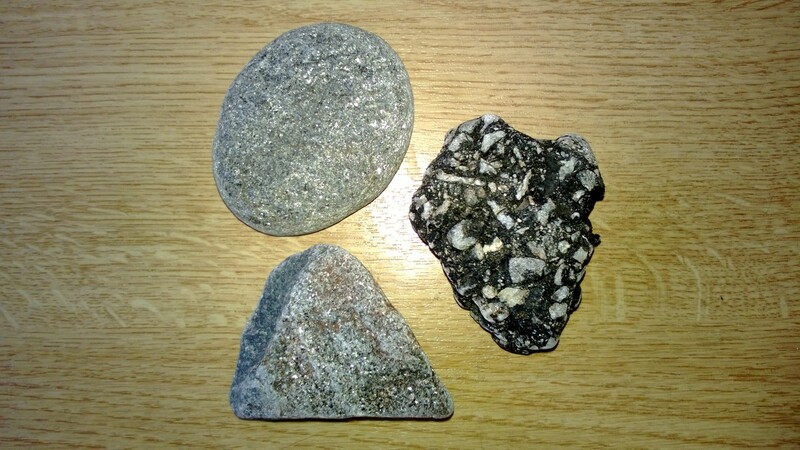 Some of the happiest memories are beachcombing with my children in Wales. The tables turn as life progresses. I was very excited, recently, about a tall slab that I felt was a mermaid’s palace entrance -perhaps discarded in a renovation project! My tall daughter gently brought me to earth – it’s plastic , mummy! How lovely you still have some mermaid years to enjoy! Thank you, Isabel – I’m treasuring the mermaid moments while they last! Hoping to explore the Welsh coast soon too, after joining my daughter’s class on a residential trip near Tenby recently. I recently posted about coping with the absence of a mobile signal there and neglected to mention the beautiful scenery there – so evocative. We plan to return there soon as a family. On the plus side, the class did bury the teacher in sand and sculpt the sand to turn her into a mermaid! How many teachers would I have loved to have made into a sand sculpture!